Details 1 hr. 56 min. Synopsis BREAKTHROUGH is based on the inspirational true story of one mother's unfaltering love in the face of impossible odds. When Joyce Smith's adopted son John falls through an icy Missouri lake, all hope seems lost. But as John lies lifeless, Joyce refuses to give up. Her steadfast belief inspires those around her to continue to pray for John's recovery, even in the face of every case history and scientific prediction. 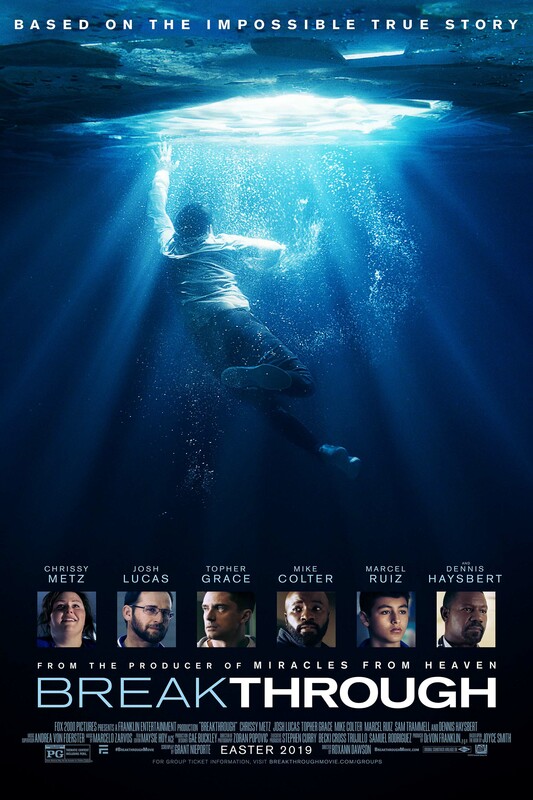 From producer DeVon Franklin (Miracles from Heaven) and adapted for the screen by Grant Nieporte (Seven Pounds) from Joyce Smith's own book, BREAKTHROUGH is an enthralling reminder that faith and love can create a mountain of hope, and sometimes even a miracle.